The Congress will analyse in detail why it failed to dislodge the Bharatiya Janata Party, which has ruled Gujarat for 22 long years, and the road ahead with 80 newly elected MLAs. 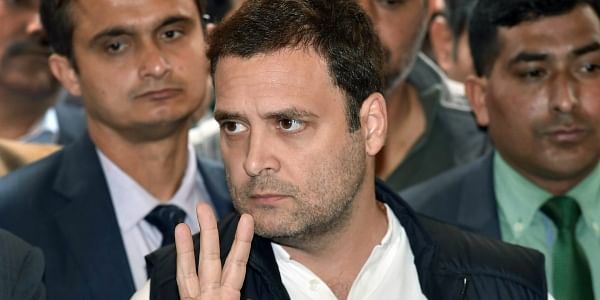 GANDHINAGAR: Congress President Rahul Gandhi will visit Gujarat to attend a three-day meeting starting on Wednesday to review the party's showing in Assembly elections in which it gave a tough fight to the ruling BJP. Other Congress leaders are also expected to attend the "review meeting" in Ahmedabad, party leaders said. The Congress will analyse in detail why it failed to dislodge the Bharatiya Janata Party, which has ruled Gujarat for 22 long years, and the road ahead with 80 newly elected MLAs -- the highest number in decades. Congress leaders say that although they lost the election, the victory of 80 party candidates and the BJP's failure to win even 100 seats in a state it considers its fortress has given a new confidence to the party. The Congress campaign was led by Rahul Gandhi, who became the party President on December 16, two days after the Gujarat elections got over.